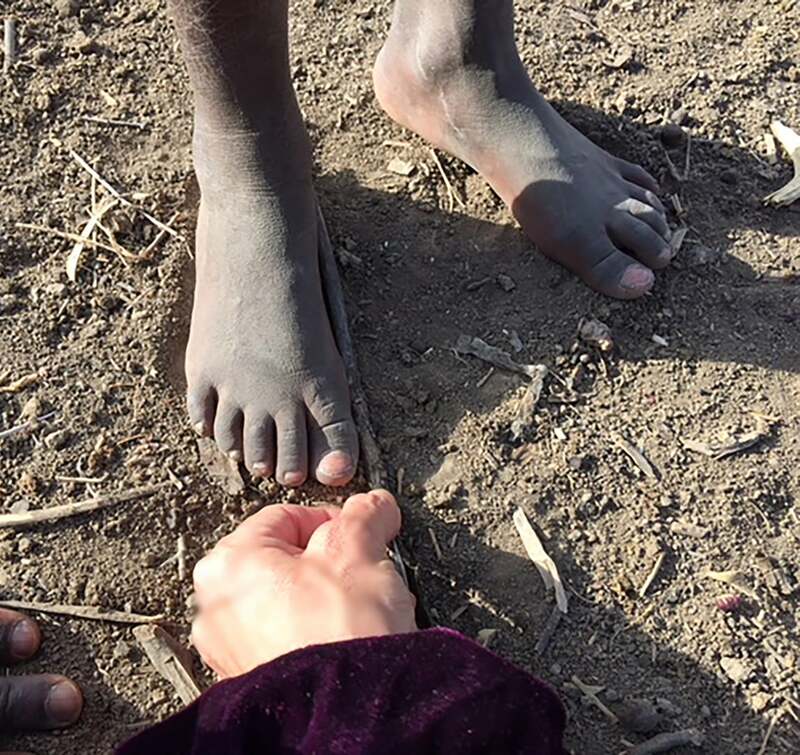 This entry was posted in MISSION 2018, Programs to Help, Success Stories, The Children, To Our Sponsors, Uncategorized on December 19, 2018 by Michelle Stark. Mission 2018 was a grand success and is now a part of Matanya’s Hope’s 13 year and growing history! Thank you all who sent donations, gifts and financial support. Our blog site: www.journeytohelpafrica.com and our Facebook posts bring so many beautiful stories of this year’s journey to life. Our students were visited and loved on. Plans were made for their futures. We are changing thousands of lives and together, you and I are lifting human beings from feelings of hopelessness and despair to lives filled with hope and a future. 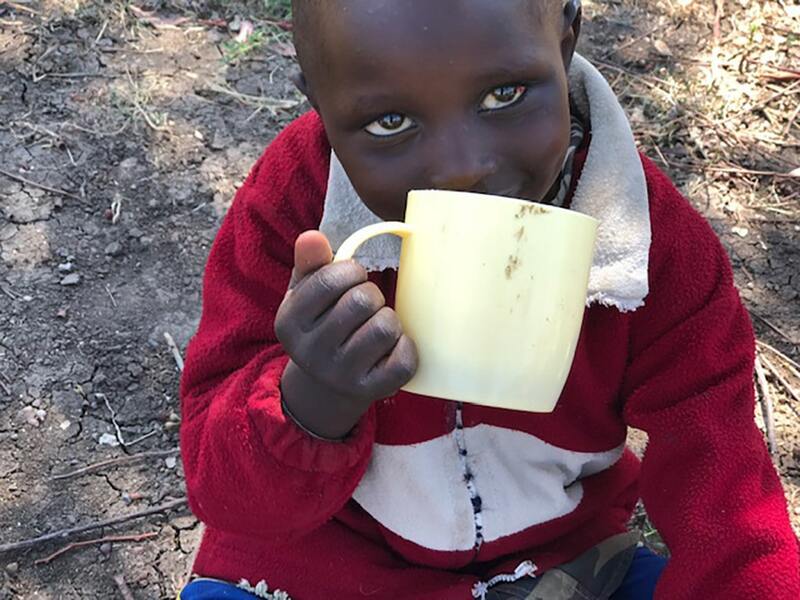 This little girl enjoys a daily cup of porridge made possible through donations to the Matanya’s Hope porridge program. Without such donations, she may be one of countless children who go days without a single meal. 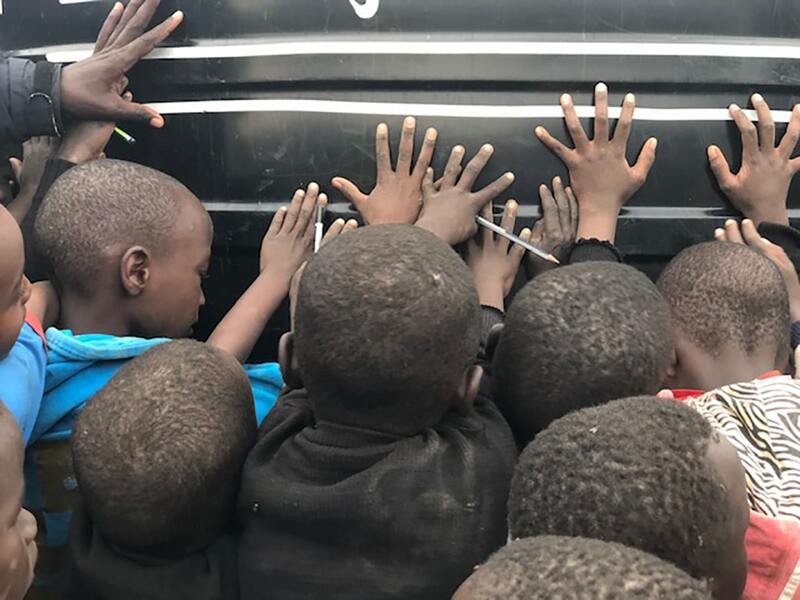 From our porridge program (which feeds 2000+ students daily), to the 10,000 liter rainwater tanks which provide clean safe drinking water vs. polluted, bacteria ridden river water most are forced to drink, we are saving lives. Young Sabina stands by a bottle of water her family recently collected from a nearby river. Her family will drink, bath with and cook with this water. 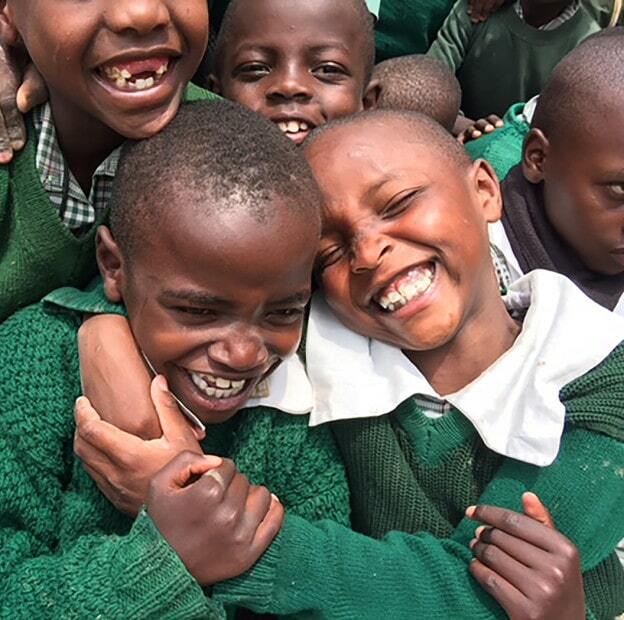 Today, Matanya’s Hope has 240+ students sponsored in boarding schools (and we just added another today!) including 49 university students who are marching to a much brighter employment future with their education. We have graduates in accounting, engineering, nursing, teaching, business, beauty, information technology, culinary arts, pharmacy and law. Together, we have accomplished all of that and more. Just sponsored! Nkatha, orphaned and living with her old, jobless grandmother, can now lvie and dream with Matanya’s Hope. 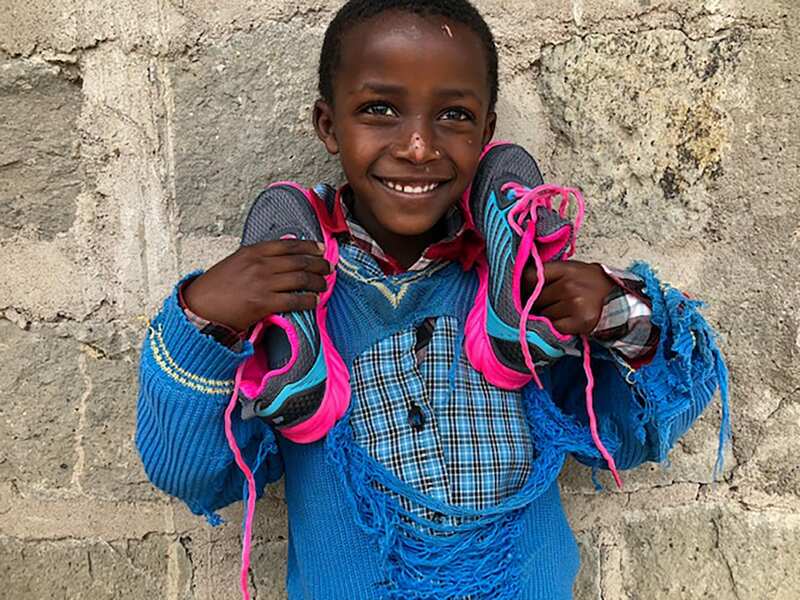 Sponsorship means she will go to school, enjoy daily nutrition, have clothing, shoes, school supplies and most of all… SHE CAN HOPE. This year our appeal is different. 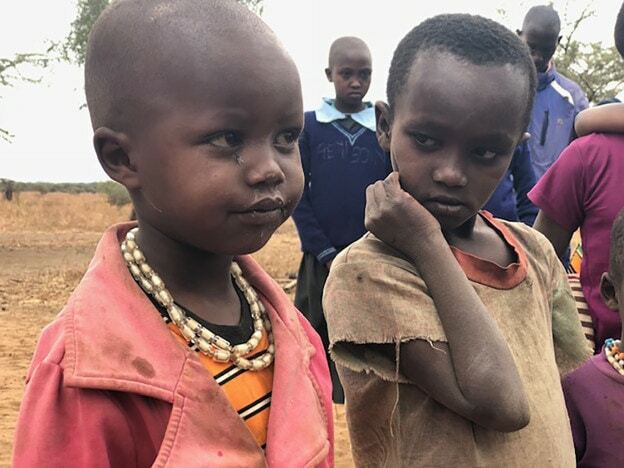 Matanya’s Hope must strengthen our core funding so that we may continue to provide the lifesaving food, water, counseling and other extraordinary programs we have developed – all which bring hope to our kids. While it is essential to maintain individual student sponsorships and their needs, the need for core financial support has turned critical. 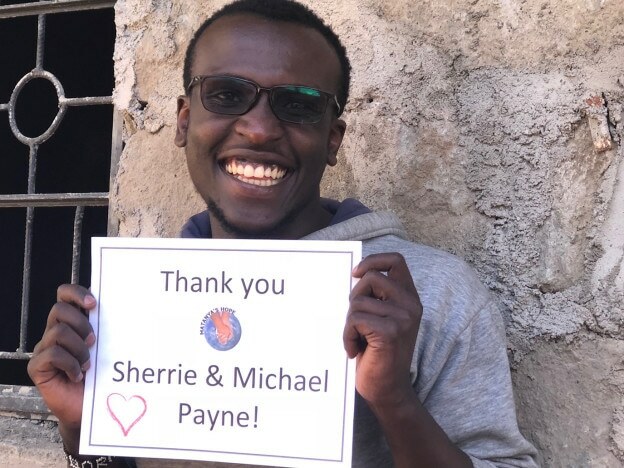 This funding supports: the shipping of much needed donations, mailings, and the maintenance and gas for our vehicle during the 3-month mission in Kenya. 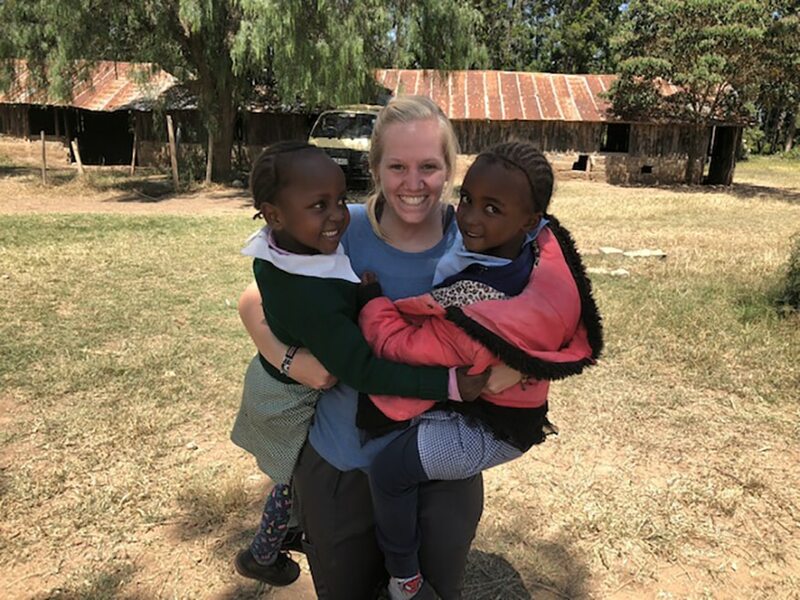 My time in Kenya is spent gaining new introspective and serving each of our students, visiting their communities, and dispersing the donations where they are needed most. Last year over 3.5 tons of donations were shipped for a little over $13,000. That is 7000 pounds shipped for less than $2.00 lb. Operation Christmas Child does a wonderful job delivering shoe boxes of gifts to needy children and they collect $9.00 for each box. That is 4 times the cost of our delivery method. We operate on two continents and incur related costs in maintaining our position with both Kenya and the United States governments. 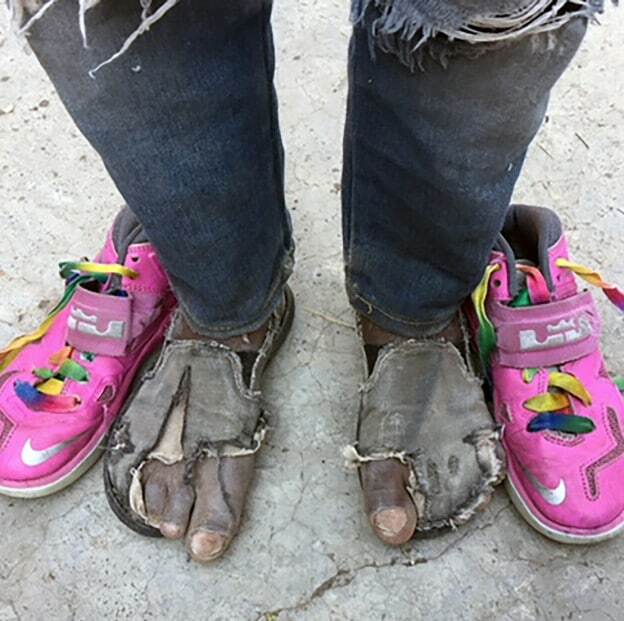 This little guy was thrilled to receive the gift of shoes through your donations. As we have grown so has the work load. We have in the past depended solely on a volunteer board and a few volunteers who have done all the paper work of financing and accounting. 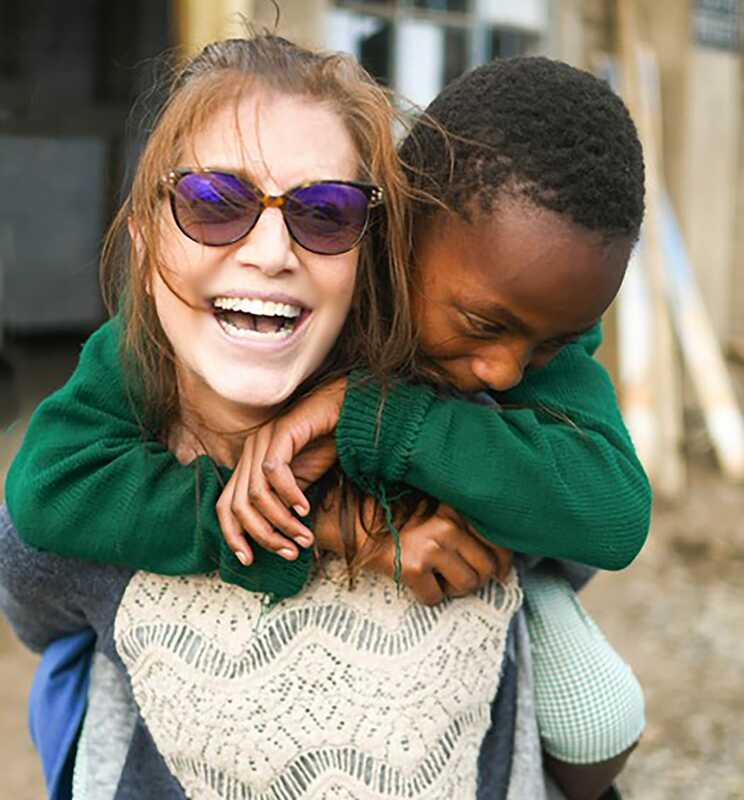 Matanya’s Hope runs a very streamlined budget to cover necessities, but as our impact on the region expands so does our need to have to have someone oversee the legalities of our 990s and record keeping in a non-profit world. Barring a fully versed volunteer on the regulations of non-profits, I may from time to time need to outsource a few of our critical documents for professional mandate. Each annual mission includes volunteer participants who pay their own way. In no way do core funds support our mission volunteers. Mission participant Emily and the team of 6 friends traveling from their USA University showered the children with faith, hope and love. In so doing, all of us were transformed. For our donors who specifically contribute to one of our other programs such as porridge or water tanks, thank you. We appeal to you to continue supporting our efforts by contributing to our core fund. Please help Matanya’s Hope maintain the services provided to so many in need. Our goal is to increase our core fund by $35,000; to operate effectively in the coming year. Thank you for your continued provision. 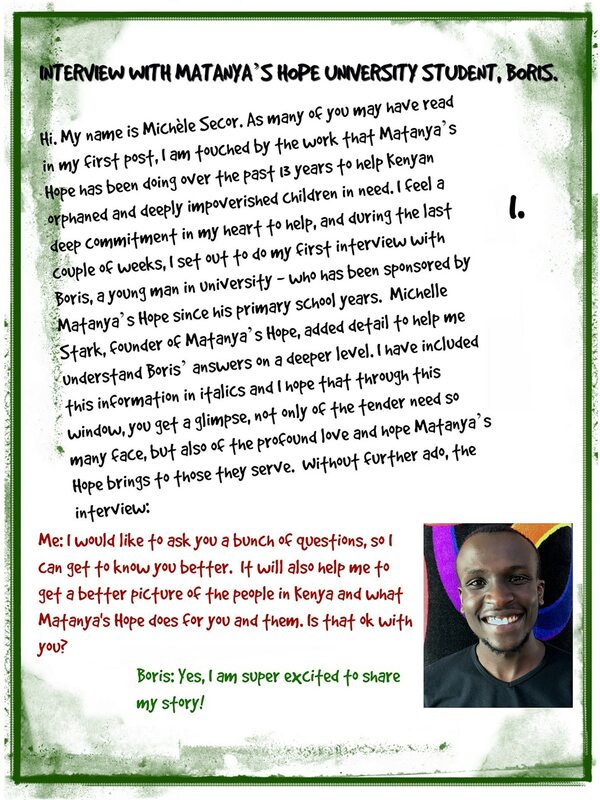 Simply put, we are asking that each of us who believe in the work Matanya’s Hope is doing to raise competent human beings out of the storms of life, donate to this need. 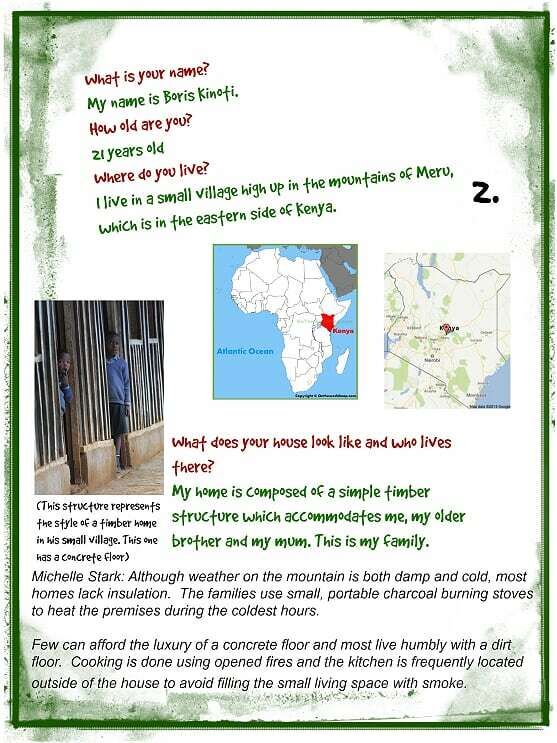 Dig a little deeper and contribute to help Matanya’s Hope grow. We are near the time of year when we all think of giving and I can’t imagine a better cause to help. This is John. 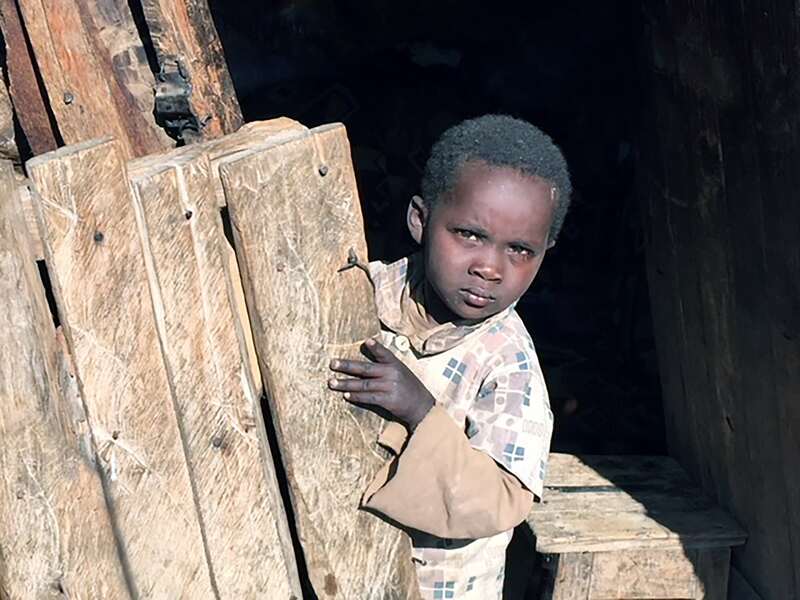 Just a few months ago, he was sleeping cold and hungry, on a dirt floor. He was frequently subjected to homelessness; his mother could not afford $3 rent. 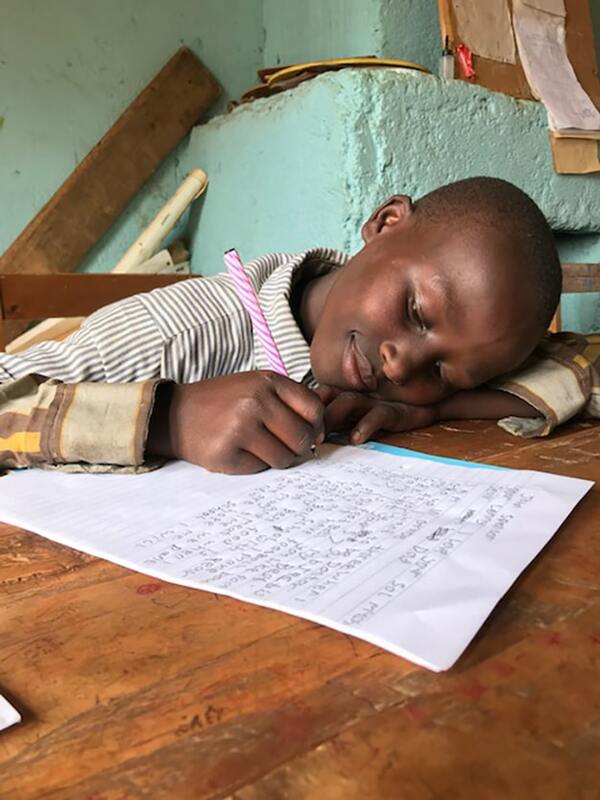 Today, he finds joy in writing to his sponsor and in attending school. 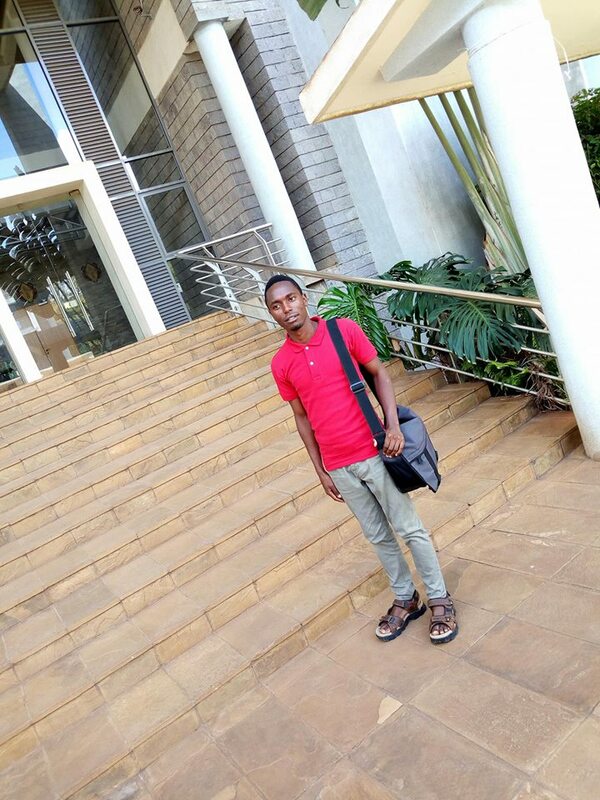 MH university student, Phineas Kaimenyi, is pictured here on University campus. 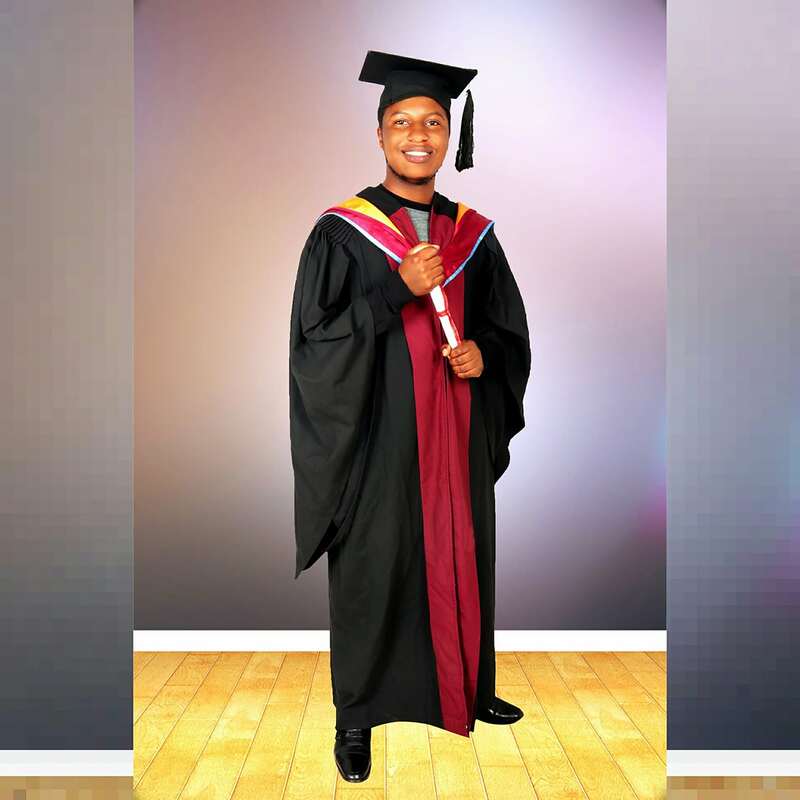 Only a few years ago, he thought university was a dream for others, not for him. and Ann Thomson, Board V.P. This entry was posted in Uncategorized on December 17, 2018 by Michelle Stark. Your shopping makes a difference. Do your regular Amazon shopping at smile.amazon.com/ch/13-4330919 and Amazon donates to Matanya’s Hope. This is Sabina Nyaguthi. 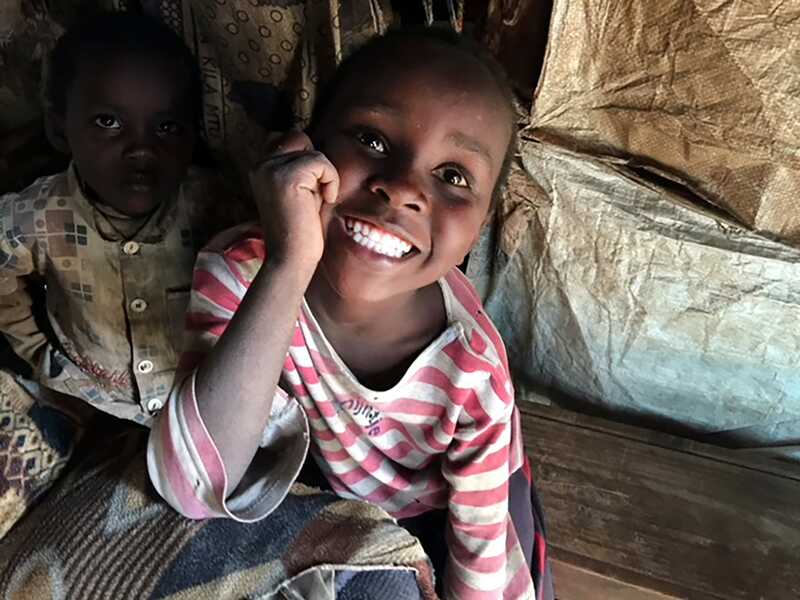 She dreams of going to school like the other children, but fees often prevent her from attending class. 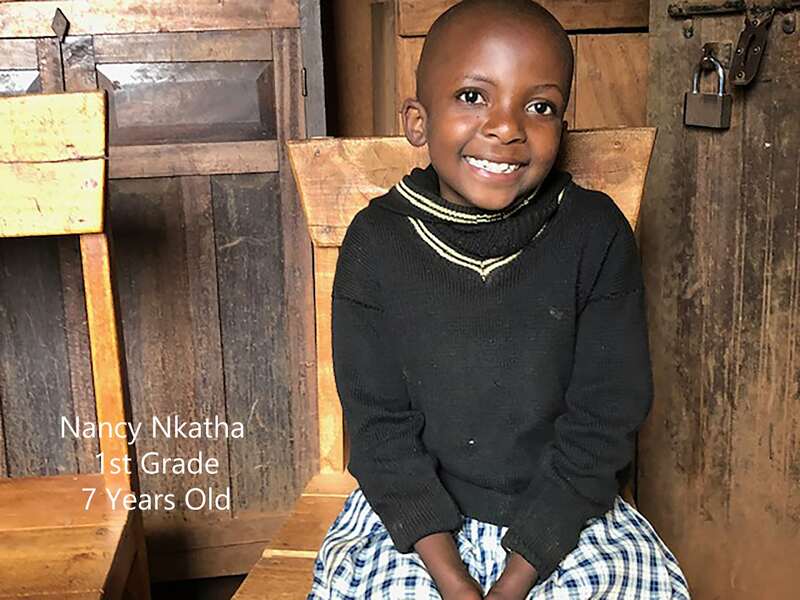 Shop at Amazon Smiles – Matanya’s Hope. Together, we can make this world a better place… and shop too! 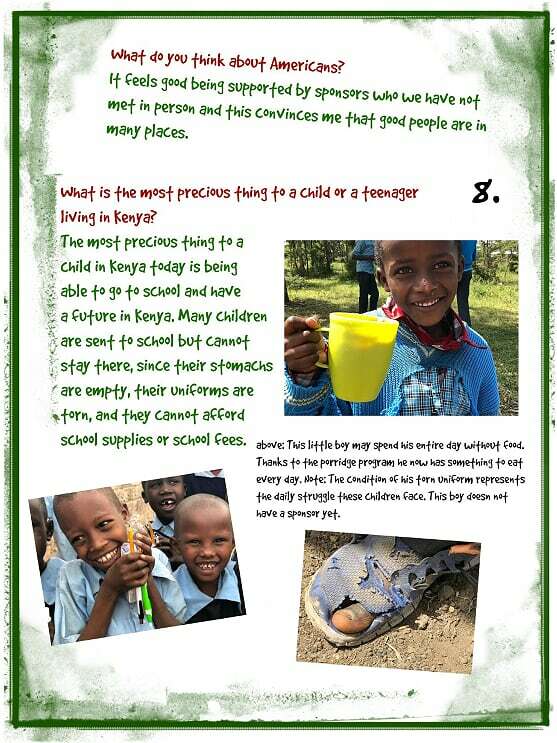 This entry was posted in Partners with Matanya's Hope, Programs to Help on May 24, 2018 by Michelle Stark. Happy Mother’s Day from all of us at Matanya’s Hope! 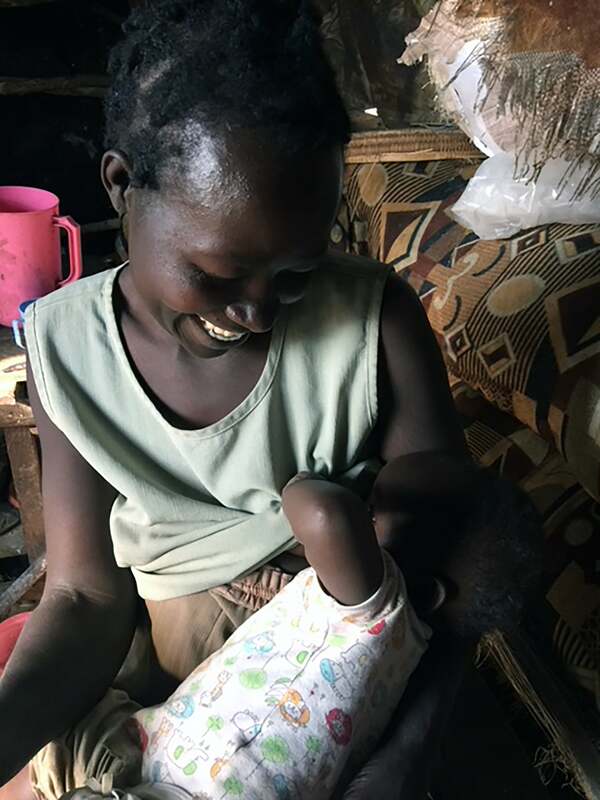 In rural East Africa, mothers love their children. They want to see their children prosper, just like we do here. But, the challenges these children and their families face are overwhelming. Mother’s often forage in the fields for mere pennies, hoping to feed their family a single meal. Cost of a solitary pencil is often prohibitive. 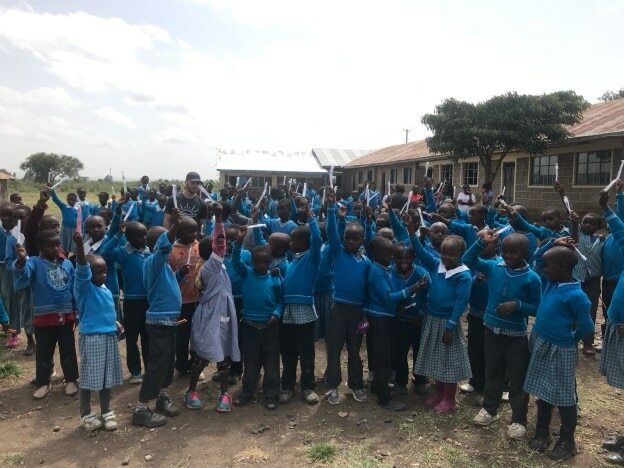 Children at Matanya Primary School understand the value of education. This Mother’s Day, you can bless your mother by giving the gift of HOPE. 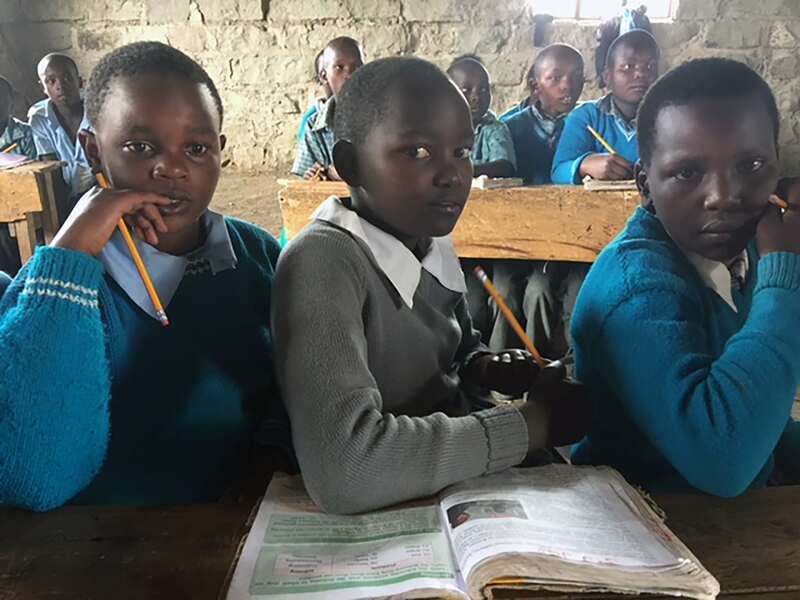 Kenyan mothers pray for the opportunity to send their children to school. Say YES and give a mother in Kenya reason to smile! Educate a child and you have helped a village. Click the DONATE button at the top of this page. DONATE through VENMO. Select Matanya’s Hope. 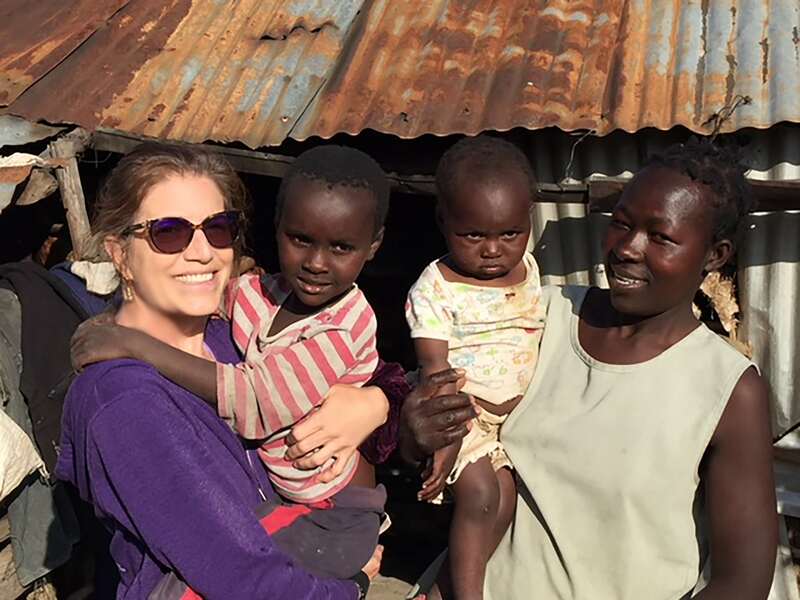 The Matanya’s Hope 2018 mission team will be building a home for this mama who is fighting all odds to provide a stable environment for her family! We thank Jennifer Oliak and Oz of Salt for raising every coin to make this gift possible! 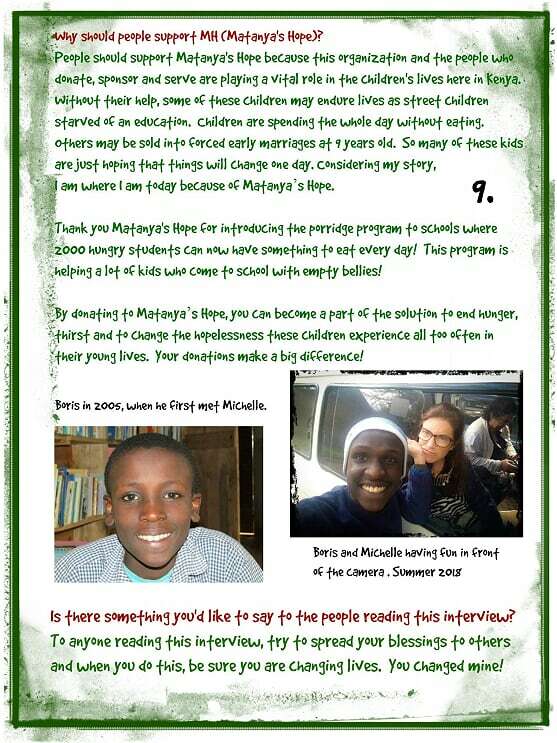 These are the kinds of blessings that your donations to Matanya’s Hope make possible. This Mother’s Day, SHOP Amazon Smile and give to mothers in need! Choose Matanya’s Hope as your beneficiary; make an impact on our mother’s in Kenya. This entry was posted in MISSION 2018, Programs to Help, Uncategorized on May 12, 2018 by Michelle Stark. 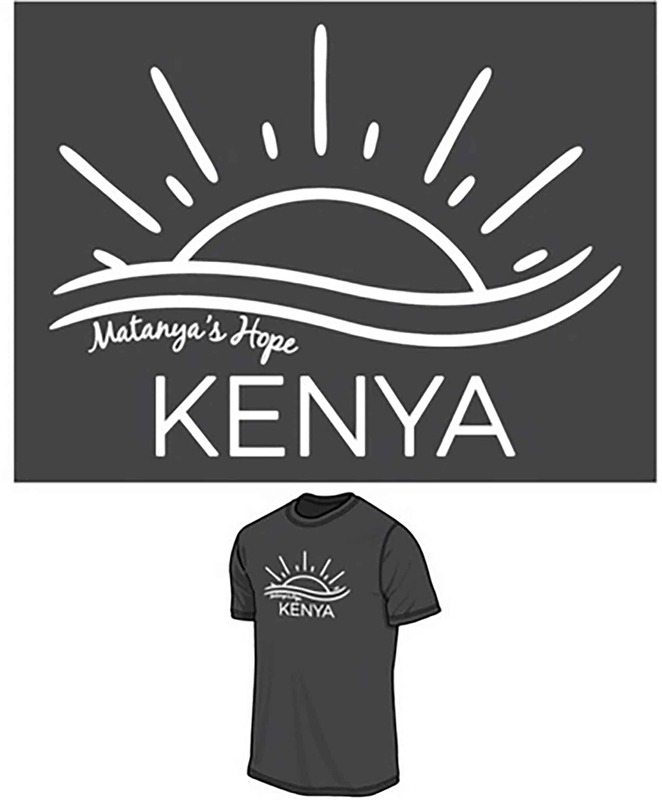 In less than 30 days, Matanya’s Hope Mission 2018 will be on it’s way to Kenya! Your gift will help Matanya’s Hope provide life changing support to thousands of people in need. To give using your credit card, click the DONATE button above. To give using VENMO, select Matanya’s Hope and choose your amount. THANK YOU for making this mission possible. This entry was posted in MISSION 2018, To Our Sponsors on May 10, 2018 by Michelle Stark. There are so many reasons to thank you! 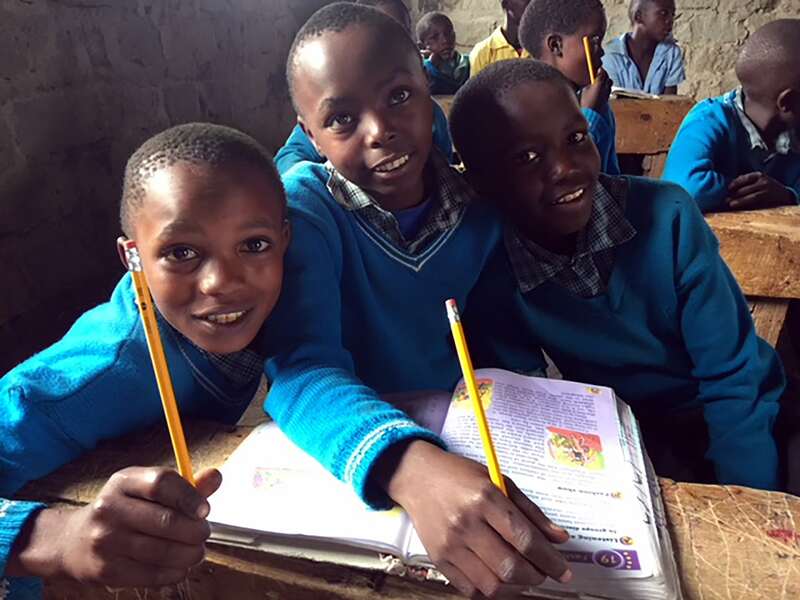 Hundreds of Matanya’s Hope students are eagerly awaiting their new academic year. Countless young lives have been forever changed through your sponsorships and love. 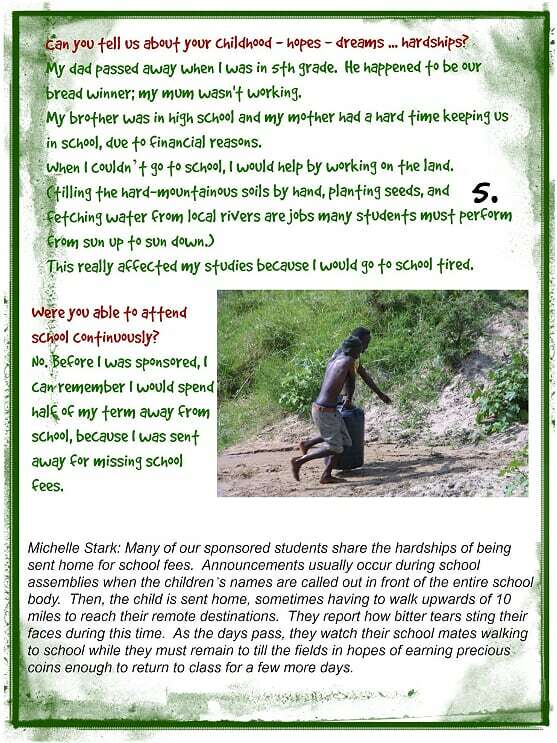 Just last year, Wafula (pictured above) was sponsored. His life of hunger and despair was changed through hope; he was granted the gift of a continuing education. Today, Wafula is a top performing student. His motto is “I am a future star, not a scar.” He is focused on becoming a doctor. He told me, “I want to be in a position to help others in life.” Wafula’s story is a reflection of your heartfelt donations! 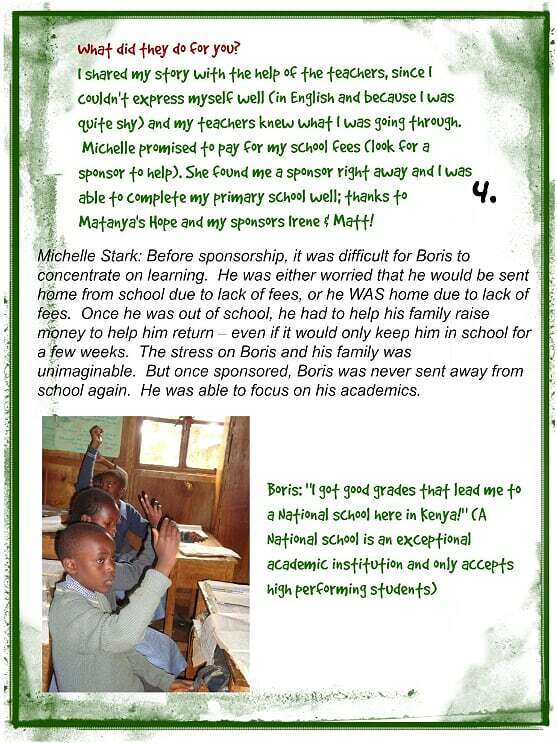 It’s because of you, our sponsors and donors, that he now attends school! As you may know, for 13 years we have been reaching out in a wide variety of ways to those in need. We are personally seeing the incredible impact our support has made in their lives. We know that there is still much more to do. This is Sabina Nyaguthi. She dreams of going to school like the other children, but fees often prevent her from attending class. Your sponsorship can change the world for this little girl ! In 2007, we humbly started Matanya’s Hope when 4 children were sponsored. Who knew that this one small act of kindness would soon translate to hundreds of students gaining an education and forever changing their lives. Today, Matanya’s Hope highlights university graduates in law, nursing, pharmacy, teaching, culinary arts and so much more! And our programs are ongoing. We currently have 250 students ranging from primary through university, who continue to embrace education through your sponsorships. 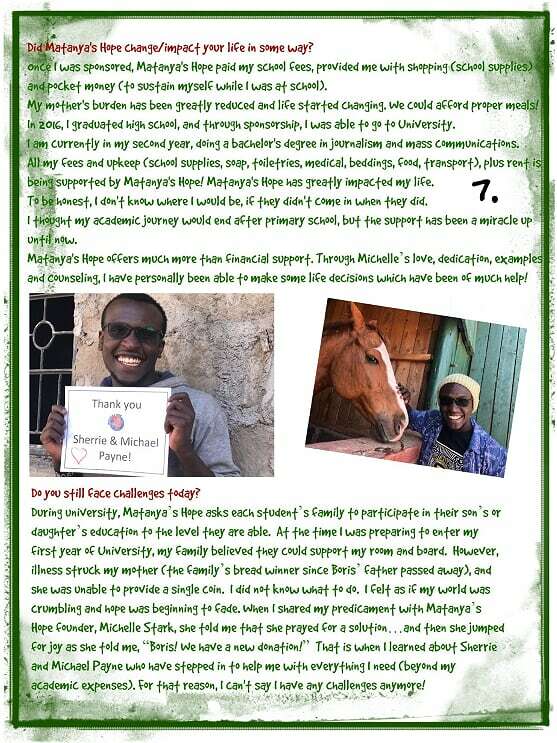 This is Lawrence, a Matanya’s Hope graduate. Today he is working in IT and passing the gift of hope to our current students and to many who are still waiting for their chance. In the USA, the annual (or even a semester’s) cost of student books is often higher than the cost of a full academic year of education in Kenya! 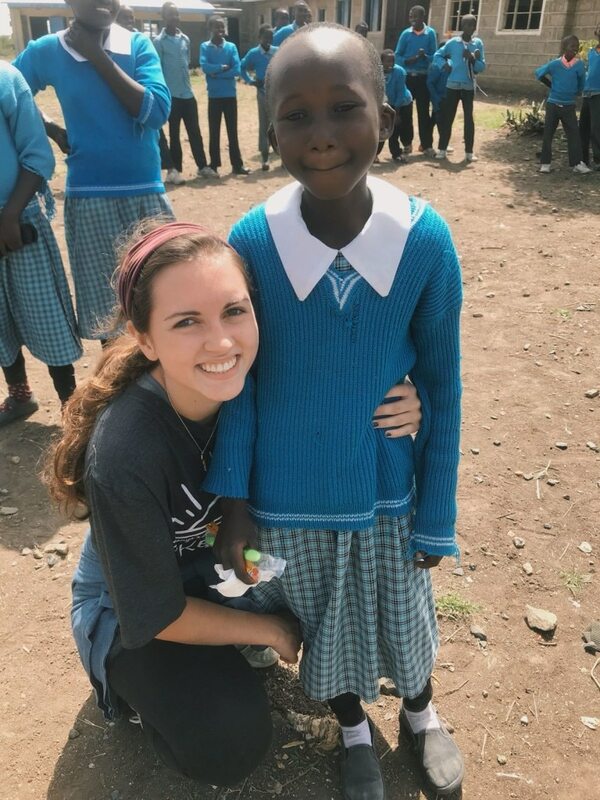 $125 per month can send a student to school for an entire year and this also includes uniform, supplies, transport, life changing conferences, minor medical & counseling, room & board, academic support and so much more! It is so easy to donate! Thousands of students have received school supplies through your generosity! 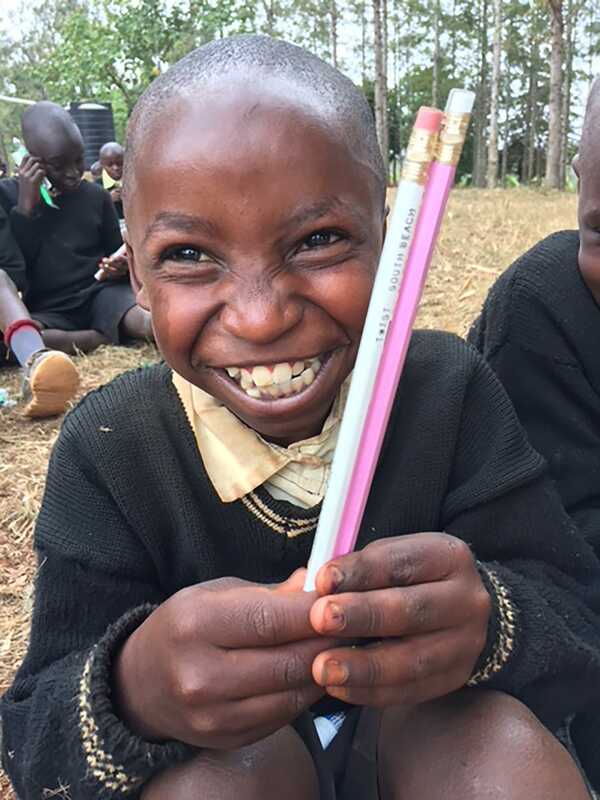 Your special gift to Matanya’s Hope can help a child go back to school. Invest in the gift of hope through education. We could not do this without you. As my father says, “If a single day goes by where someone else doesn’t benefit from your being alive, you’ve wasted your day.” He got that from his grandfather, Harry Berman. It’s powerful stuff… I invite you to stand with me as we continue learning and growing… making this world a better place for all. 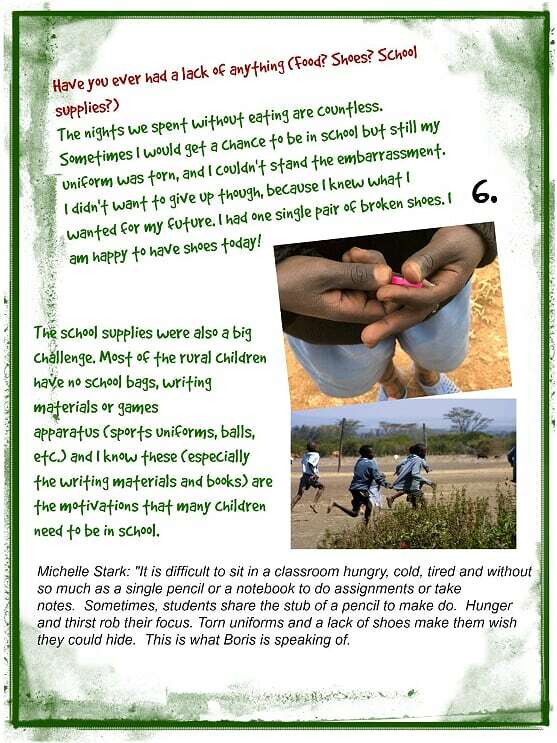 This entry was posted in Programs to Help, The Children, To Our Sponsors, Uncategorized on December 15, 2017 by Michelle Stark. It always amazes me that something as simple as water can have a life or death effect on people. Safe drinking water can help revive lethargy and help a student focus on their schoolwork. We’ve seen the miracle of safe water! 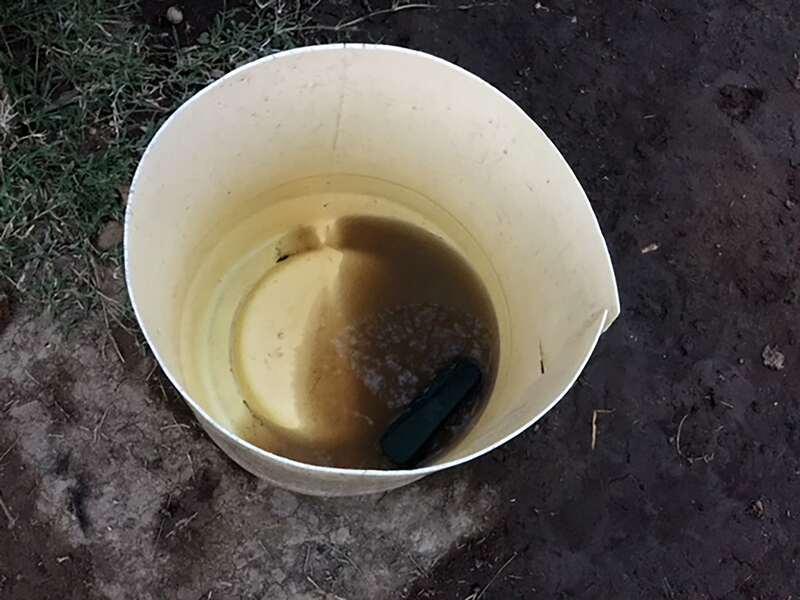 It is the difference between going to the river to collect murky, brown water and putting a cup under the tank spigot to collect safe, clear hydration! 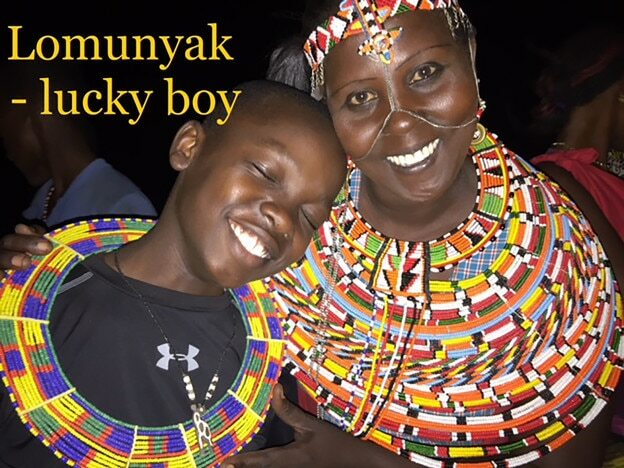 The boy in the above photo is from Kibera. He is desperately trying to extract any remaining safe water from the pipe next to his school compound. Otherwise, he must depend on unsafe sewage water, infested with trash and human waste. It is through your giving that dramatic differences can occur in the lives of those in need every day! This dirty river water in the photo above is all that remains from the mornings collection. Due to no other choice, the rest has been consumed. Thanks to the support of our friends and donors, Matanya’s Hope was able to place more than 23 ten-thousand liter rainwater storage tanks during our most recent mission, just 3 months ago. 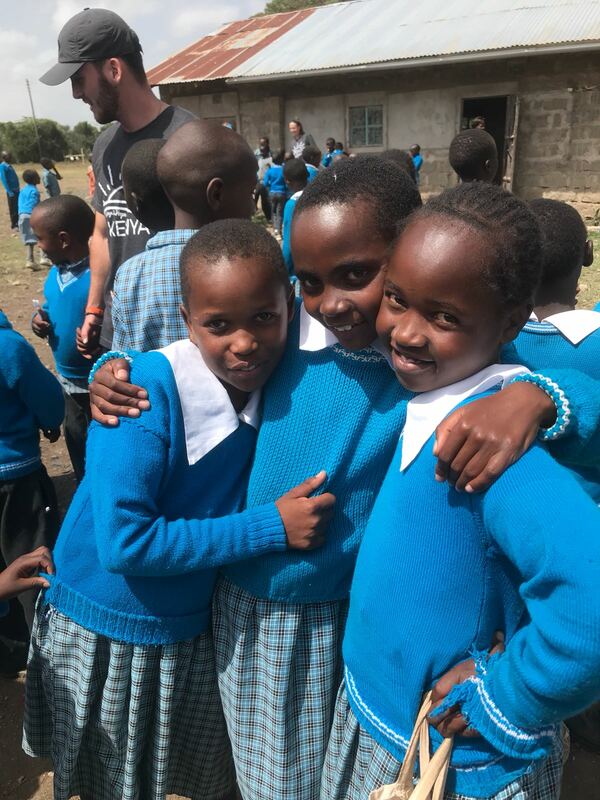 And I am excited to share with you that when a child gains access to safe, clean drinking water through your donations, we are offering the gift of hope. 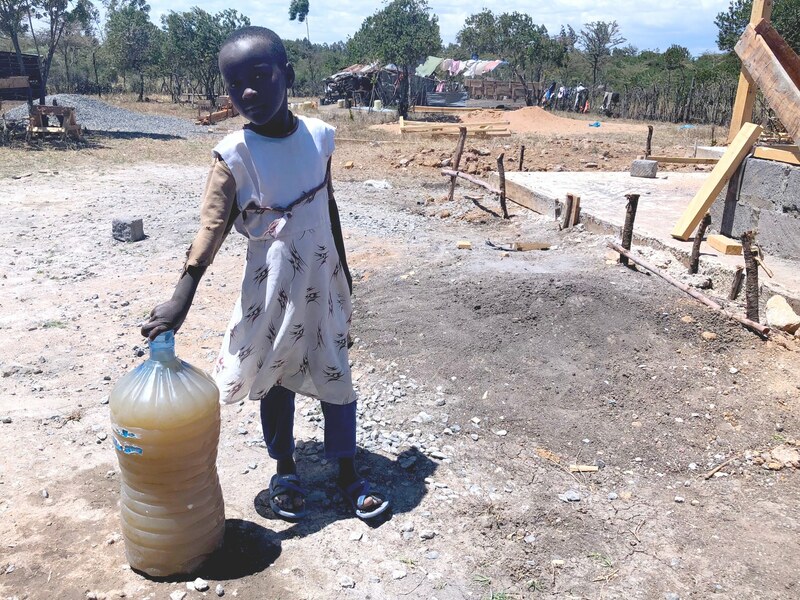 Sometimes, for the very first time, deadly diseases such as typhoid and cholera fade into the background and crystal clear drinking water fills hearts and bellies. 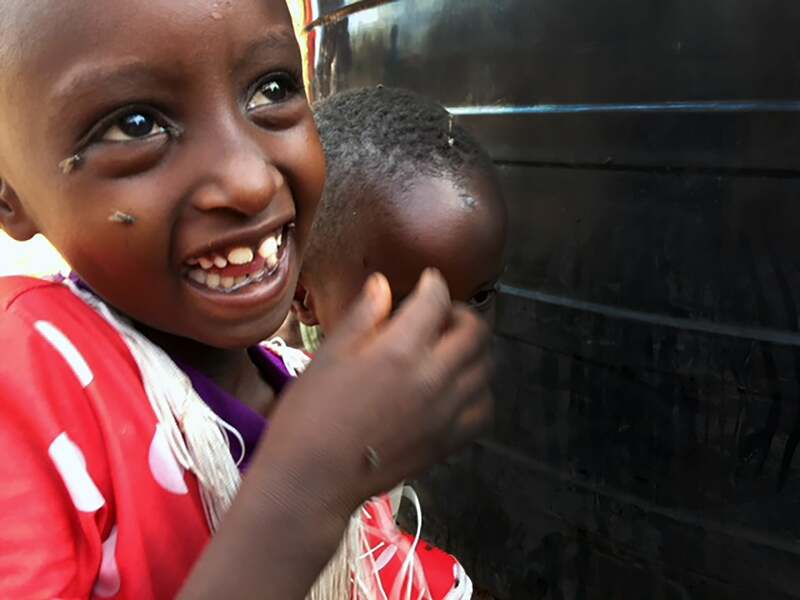 This little girl is so excited as their newly donated tank is being filled with safe water. Matanya’s Hope is indebted to organizations like: B’nai Torah Congregation, Living Springs Community Church, Ox of Salt and H.O.T. for collectively providing the gift of safe drinking water to remote schools, orphanages, clinics and families who otherwise had none. The children of this Masai village gather with me around their new tank, donated this year. Rainwater storage tanks come in a variety of sizes and range in price from $350 to $1,500. Individual placement includes building a secure (usually concrete) base for the tank to stand on and the installation of a gutter system designed to deliver the rainwater through the tank’s sieve. Finally, each tank is beautifully inscribed with the donor’s name and a message of hope. 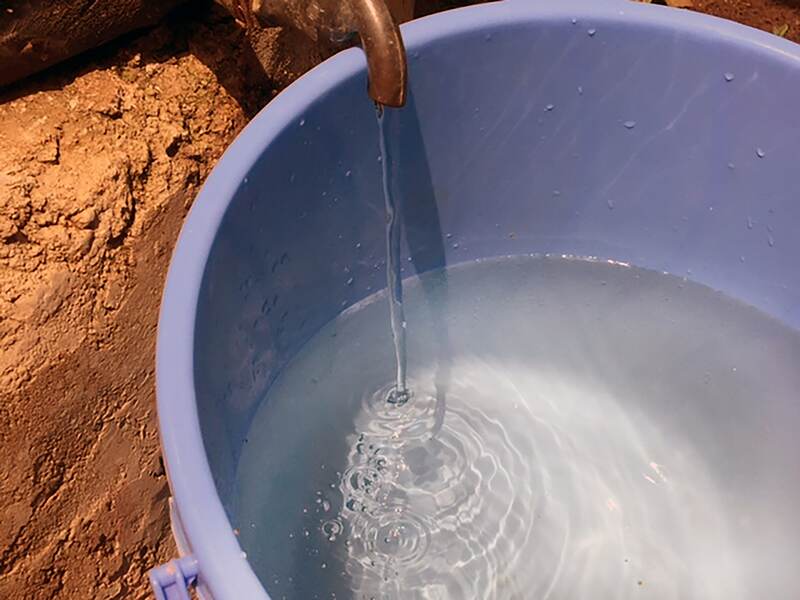 During the dry season, we strive to fill each tank upon delivery with clean drinking water. Make a difference today! Donate a rainwater storage tank and give the gift of life to those in need. In the above photo, safe drinking water is being collected from a newly placed tank. If you or anyone you know is interested in donating a life saving rainwater storage tank to those in need, please contact me personally through email: [email protected] or by responding to this post. 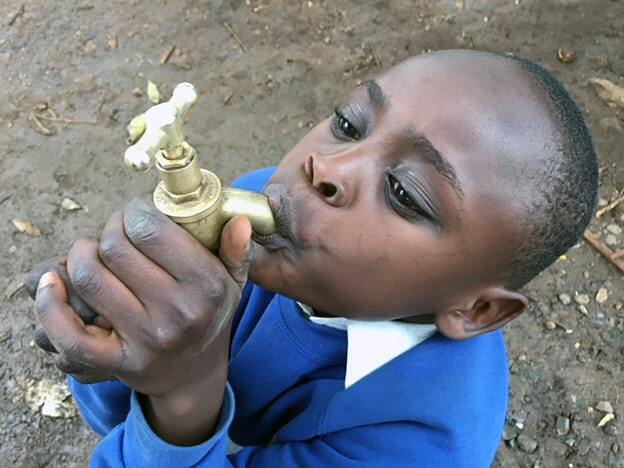 Safe water is life. What a beautiful gift to give this holiday season. 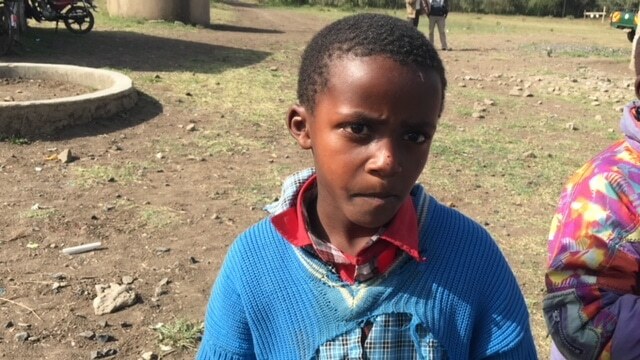 It is my prayer that through donations, Matanya’s Hope will be able to provide this little boy and his family with safe water for the very first time. 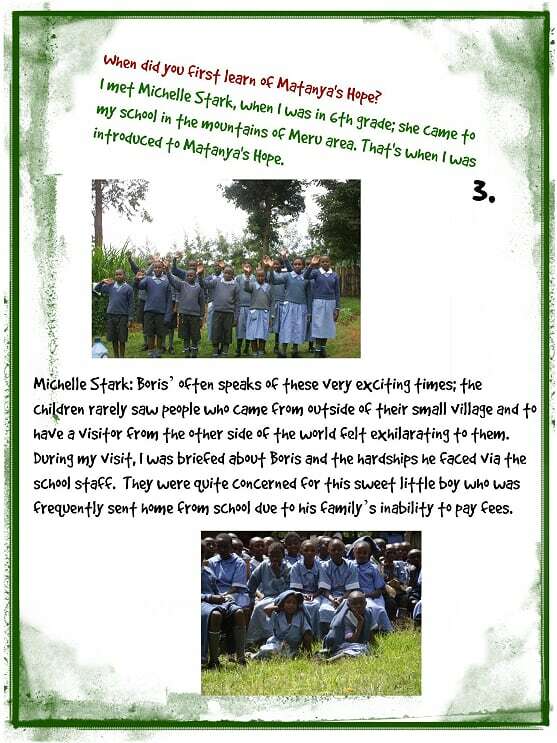 This entry was posted in MISSION 2017, Partners with Matanya's Hope, Programs to Help, To Our Sponsors on December 13, 2017 by Michelle Stark.